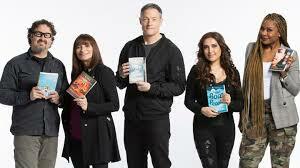 Next week across Canadian airwaves comes a reality show featuring contestants getting up in each other faces about…books. These are my peeps. Are they yours too? The CBC takes a heap of heat from critics; some of it surely deserved, most of it hogwash.This lifelong ratio listener is hooked on more than a few shows from our public broadcaster, including Canada Reads. 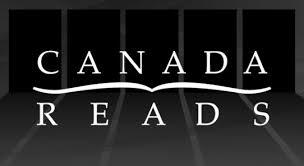 For the uninitiated: five Canadian personalities choose, and then champion a book written by a Canadian writer. Debates can get feisty. It’s up to the personalities. Just how passionate are these readers? Plenty. Not all the past winners have made my personal reading list but that there are gems among the contenders is certain. I’ve made wonderful discoveries from this list alone since the series began in 2001. Ru, The Orenda, Annabel, Away, Indian Horse, The Birth House… indeed, the list of awesome titles is long. If you’re looking for reading ideas, this is a most excellent start. This year’s personalities include Jeanne Beker, her very savvy self a reason alone for tuning in. For more on the book picks, the other panelists and some of their strategies to win, check here. Let me know if you’re watching too! The four day series begins next Monday on radio and television. Beatrix Potter fans: did you know she wrote a saucy diary? Modern Love is one of my favourite NYTimes essay series. This one is very special. A poet takes on the The Bachelor in her latest book in this intriguing Quill and Quire post. Historica Canada has produced a new Heritage minute. “They say a woman shouldn’t write.” Who said it? Find out here. Next: A field report from March travels.